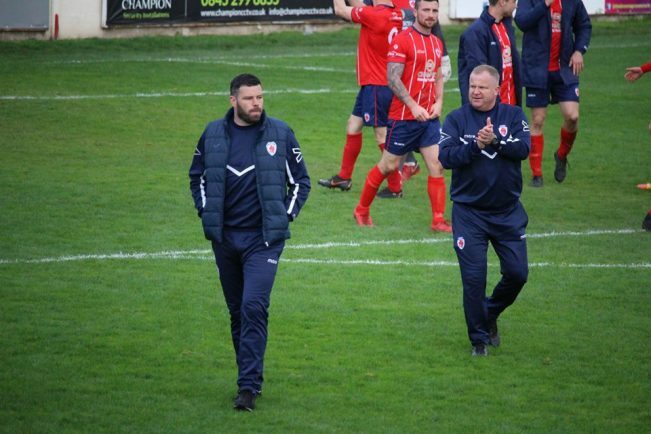 BOSS Brendan Kelly has urged Bromsgrove Sporting to leave no stone unturned when they play host to lowly Aylesbury on Saturday. The Rouslers, who top the Southern League Division One Central standings, have identified their latest run of fixtures as a huge opportunity to rack up as many three points as possible. The first of those games came last Saturday in a 5-1 triumph at struggling North Leigh and Kelly is hoping for more of the same from his players this weekend at the Victoria Ground. Sporting have already played Aylesbury once this season, with the two sides playing out a 0-0 draw in what was the Rouslers’ first goalless draw in a league fixture for three years. Kelly said: “From the return fixture we learned that Aylesbury had their tactics spot on. “They did their research on us and stifled our wing play on what was a very small pitch. “Even though Richard Gregory missed two penalties that day, I thought a draw was a fair result in the end. “What stood out most to me was their impeccable work rate so we’re going to have put one of our best displays to get something from the game. Kelly has also urged the Sporting faithful to pack the Victoria Ground as the club goes in search of its first four-figure attendance of the season in a competitive fixture. The Rouslers have came close to breaching the 1,000 barrier, with 954 witnessing the 3-1 defeat to Corby Town in the FA Trophy, 915 watching the 2-0 victory over Welwyn Garden City and 910 packing the ground for the 11-0 thrashing of Kidlington. “With no international games and with West Bromwich Albion, Aston Villa and Birmingham City all out of action, hopefully we will see a huge attendance,” said Kelly. “It would be amazing for the club if we could get more than 1,000 fans down here as they really do make the difference. After Saturday, Sporting make the trip to Thame United on Tuesday night. Thame currently sit 14th in the table but have played only nine games so far. “After our big defeats to Bedford and Corby we identified the next ten games as a real chance to pick up a lot of points,” said Kelly.